Diabetes Mellitus (DM) is an important health problem affecting wide population band globally. World Health Organization (WHO) reports showed considerable number of individuals were diagnosed with DM, however, noteworthy numbers are still undiagnosed to varied grounds. Diabetics are at risk of developing pathological complications in particular ocular complications seemed to appear early and might lead to blindness at late stages. Diabetic retinopathy and cataract are the main causes of visual loss in DM although other ocular complications certainly exist. This article meant to review mainly diabetic retinopathy and its effect on ocular structures high lighting the role of the diabetic clinicians' teams and the patients in senses of reducing the risk of the severe damaging stages. Furthermore, to list the available investigative techniques and the methods of managements. Aim: This study aimed to determine the prevalence and causes of childhood blindness and visual impairment among Quranic boarding schools children in Al-Gazira state of Sudan. Materials and Methods: A total of 822 children were screened, and they distributed in 8 traditional Quranic schools. The study divided into two phases, the first one was designed to detect the visually impaired children, and in the second one, the affected children were investigated deeply through inner eye, refraction, and cover test examinations. Results: The findings indicated that the prevalence of childhood visual impairment (6/12 and worse binocularly) with the best correction was 12 (1.5%) in children of traditional Quranic boarding schools in Al-Gazira state of Sudan. The prevalence of visual impairment among children was increased with the age of children (P ≤ 0.001). The uncorrected refractive errors was the main cause of visual impairment which represented (36%) of impaired children followed by cataract (21.5%), corneal opacities (21%), optic nerve lesion (10.7%), retinitis pigmentosa (3.6%), glaucoma (3.6%), and squint (3.6%). Conclusion: The study concluded that the most causes of childhood visual impairment in traditional Quranic boarding schools in Al-Gazira state of Sudan were avoidable. Uncorrected refractive errors was a major cause of visual impairment among children; this pointed out the need for urgent a comprehensive childhood eye care plan to deliver eye care services for them, through cooperation between governmental, community stakeholders, and nongovernmental organization working in the prevention of childhood blindness. Background: cataract is remaining a health problem worldwide and is a leading cause of blindness. The majority of cases were reported in the developing countries. Ocular sonography is an important imaging method to evaluate abnormalities of the posterior segment of eyes. 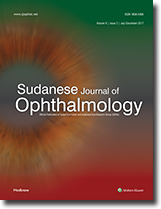 Objective: The objective of this study was to determine the ocular posterior segment abnormalities in Sudanese adult patients using ultrasound and to describe the different types of cataract and their association with age and gender. Materials and Methods: This was a single-center, cross-sectional study conducted in Al Walidain Eye Hospital in Khartoum State (Omdurman) from February to July 2017. Data collection sheet was designed to include a detailed history and demographic data. An ultrasound machine MEDA ultrasonic A/B scanner for ophthalmology Model ODM-2100S with probe 10 MHz was used to investigate the participants. Patients with known lesions in posterior segment and those who had a previous history of ocular surgery were removed from the study. 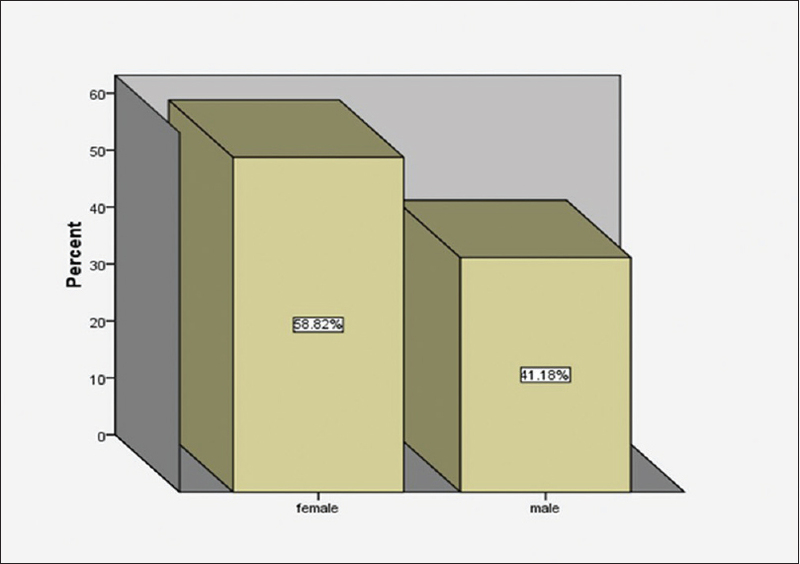 Chi-square test was used to assess the relationship between qualitative variables. Results: A total of 102 known preoperative cases of cataracts were evaluated in either gender; 60 females and 42 males. The mean age was 61 ± 13.87 years. The incidence of cataract was more frequent in the age groups of 61–70 and 51–60 years than other age groups. 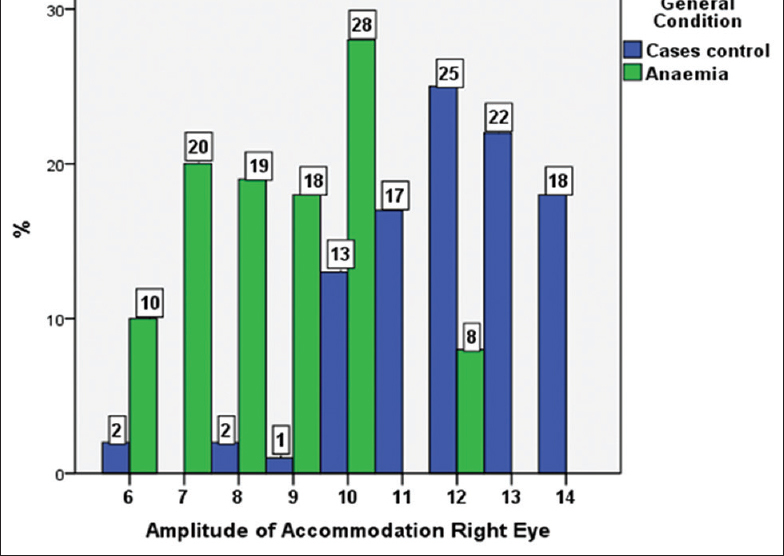 The prevalence of significant types of cataracts was as follows: nuclear cataract 61.7%, secondary 21.57%, traumatic 12.75%, and posterior subcapsular 3.92%. 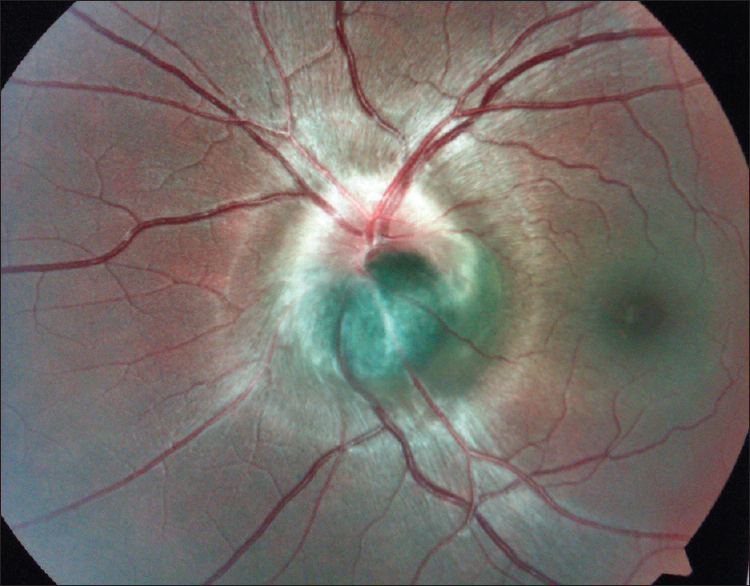 Sonographic findings revealed a posterior vitreous detachment (PVD) of 19.2% of the cases, vitreous hemorrhage of 0.98%, and complicated PVD of 1.96%. All types of cataracts were strongly associated with age (P < 0.001). Nuclear and secondary cataracts were more common in females (P = 0.04). Conclusion: Abnormalities of posterior segment are indicative features that should be evaluated by ultrasound before ocular surgery. Age and gender were significant factors for all types of cataracts. Ocular sonography is essential before cataract surgery. Background: B-scan ultrasonography (US) is a safe, noninvasive method for imaging the traumatized eye. This technique was recently introduced in Al-Obeid, North Kordofan state, Sudan. The aim of this study is to investigate the sonographic findings in patients with ocular trauma in Al-Obeid. Methods: The sonographic findings in 73 patients with mean age of 18.7 (±14.7 years standard deviation) (range; 2–65) were reviewed. Scanning was done with a 10-MHz ultrasound probe (UD-800, Tomey, Germany) between January 2016 and August 2017 in ElObeid Eye Hospital. Results: All patients had unilateral trauma. The majority of patients had blunt trauma (63 out of 73, 86.3%) while six patients had penetrating trauma (8.2%). The most common finding is cataract (57, 78.1%), followed by vitreous hemorrhage (7, 9.6%), and retinal detachment (4, 5.5%). The most common cause of trauma is accidental trauma during work or play (68, 93.2%) while assault represented only 2.7% (2 cases). Visual outcome after cataract surgery was good in 93.3% of cataract patients (visual acuity of 6/12 or better). Conclusion: Ocular B-scan is a useful diagnostic method in cases of eye trauma. Most victims are young males, and the most common cause is accidental blunt trauma during work or play. Cataract is the most common finding, with excellent visual outcome after surgery. Background: Childhood anemia is worldwide health problem and is most common nutritional deficiency in poor nations. Objective: This study aimed to assess the impact of childhood anemia on binocular functions among Sudanese population in Khartoum State of Sudan. Materials and Methods: This is a comparative cross-sectional study of 203individuals, their age ranged from 6 to 15 years, with mean age of 10.4 ± 2.8 years. The sample composed of 103 anemic children and 100 children without anemia were selected from two hospitals. Investigations included visual acuity using Snellen Tumbling E-chart, refraction using retinoscopy, amplitude of accommodation, and near the point of convergence using RAF Rule. Cover test was conducted to find out if a phoria or tropia existed. The degree of deviation measured using Maddox wing at near fixation and prism cover test at distance fixation. The positive and negative fusional reserve was measured using prism bar. Results: The findings revealed that 59 (57.3%) of anemic children had near exophoria 2–4 Δ compared to 40 (40%) among normal controls, this different was statistically significant (P < 0.001). About 55 (53.4%) of anemic children had convergence insufficiency compared to 5 (5%) in normal controls which was statistically significant (P < 0.001). About 20% of anemic children have amplitude of accommodation of 7 D; however, no normal controls have accommodation of 7 D. The decrease of accommodation was associated with anemic children which was statistically significant (P < 0.001). More than half 59 (58.4%) of the anemic children had very weak positive fusional reserve at near, compared to 47 (47%) of normalcontrols. Conclusions: Childhood anemia have impact on binocular functions, it is influence the binocular stability, which lead to convergence insufficient, reduced of accommodation, as well as positive fusional reserve. Thus, any child with anemia, there is critical need for assessing their binocular functions on any eye examinations. Introduction: This is a prospective study to evaluate and report the reasons of cancellation of elective cataract surgeries in an eye camp, from April 5, 2017, to April 10, 2017. The proportion of elective cataract surgeries cancelled on the day of surgery was obtained from the data of the eye camp, and reasons for cancellations were recorded. Materials and Methods: The selected patients for the surgery have gone through preoperative investigations including complete blood count, random blood sugar, coagulation profile, viral serology (hepatitis B, hepatitis C, and HIV), eye examination, intraocular lens calculation, and their medical condition assessed for chronic diseases. Results: A total of 509 patients were listed for elective cataract surgery in an eye camp Hodeidah Governorate. Forty-nine cases (9.6%) were cancelled due to different reasons on the day of surgery. Main reasons for cancellation were eye infections (14), absence of general anesthesia in eye camp for some cases (9), uncontrolled diabetes (8), and late arrival of some patients when there was no time to do the operation (7). Conclusions: Postponing cataract surgery for patients scheduled for surgery in an eye camp is a stressful situation to the patients, their relatives, and the eye camp organizers. Most reasons for canceling the cataract surgery can be avoided, and efforts to reduce the number of postponed cases have to be increased. Ophthalmic examination and medical fitness should be done properly before scheduling for cataract surgery. Melanocytoma is a benign heavily pigmented tumour developing from melanocytes. Here we report a case of optic disc melanocytoma in a primigravida female who was referred to our department for fundus evaluation for PIH.